1. Pamplona Bullring, September 2015. I’d just finished teaching an English summer camp in Castro Urdiales, a small coastal town outside Bilbao. 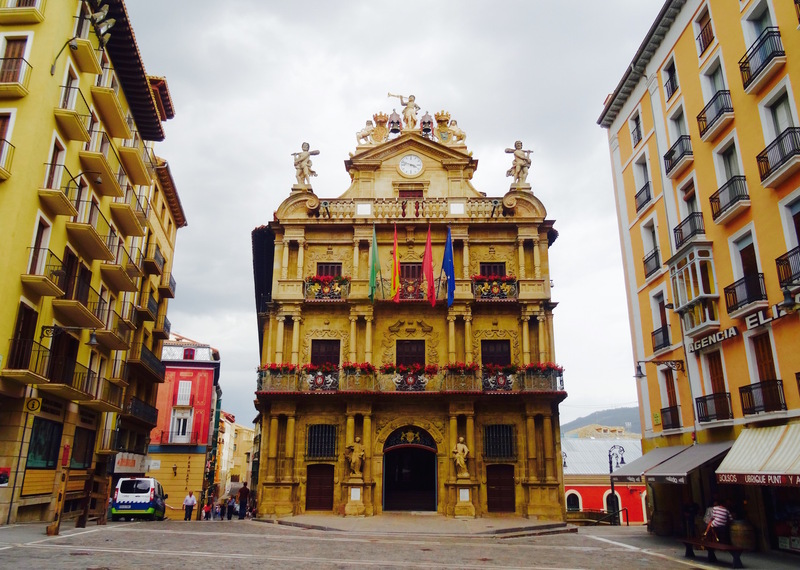 I was excited to be heading off on a two-week wander across northern Spain and had been particularly fascinated by the prospect of Pamplona because of its Ernest Hemingway connections and notoriety for the running of the bulls. One of Spain’s architectural highlights, the city was quick to reel me in with its spectacular old quarter, a maze of narrow streets informed by Romanesque, baroque and gothic era buildings. This photo is of Pamplona Bullring, situated on the leafy Plaza de Toros de Pamplona. The arena dates back to 1922 and holds just under twenty thousand people. It also serves as the end point for the Running of the Bulls during the city’s world famous San Fermin Festival. When not in use the bullring can be toured for €6 with daily opening hours of 10:00-14:30 on Saturdays and Sundays. Keep your eyes peel for the bust of Hemingway outside! 2. Ayuntamiento de Pamplona (Pamplona Town Hall), September 2015. Located in Plaza Consistorial in the heart of the old quarter, this gorgeous, baroque-neoclassical building plays an important role in the annual San Fermín festival, best known for the controversial running of the bulls. Each year, on July the sixth at around noon, a rocket is fired from the building to signal the start of the party! 3. Beatriz Bakery, September 2015. 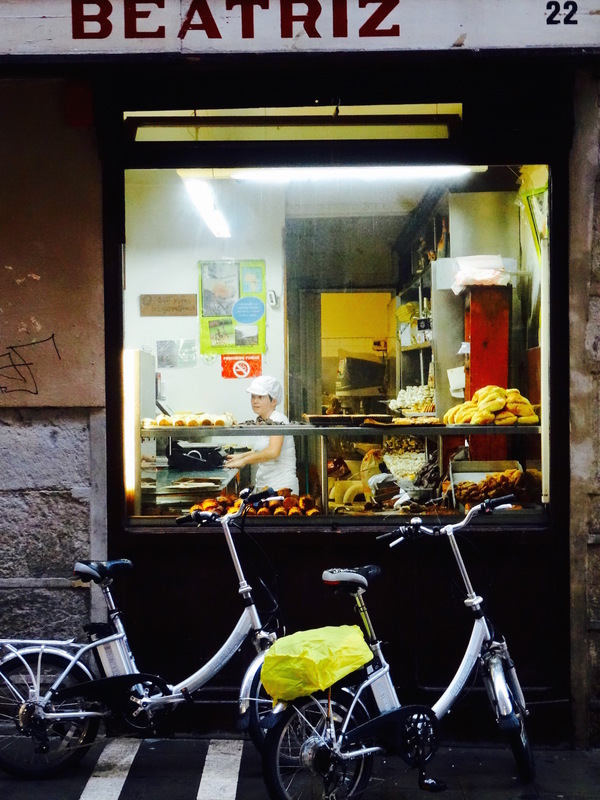 This amazing little bakery can be found on Calle Estafeta, where the line often snakes out into the street and the enticing smell of chocolate and flour will almost certainly stop you in your tracks. Some people are so impressed by their cakes, cookies and hojaldres (buttery pastries), they boldly claim Beatriz to be one of the best bakeries in Spain!!! While I’m clearly no expert in Spanish baking, the divine slab of nutty dark chocolate I came away with suggested such assertions may not be far off the mark. 4. 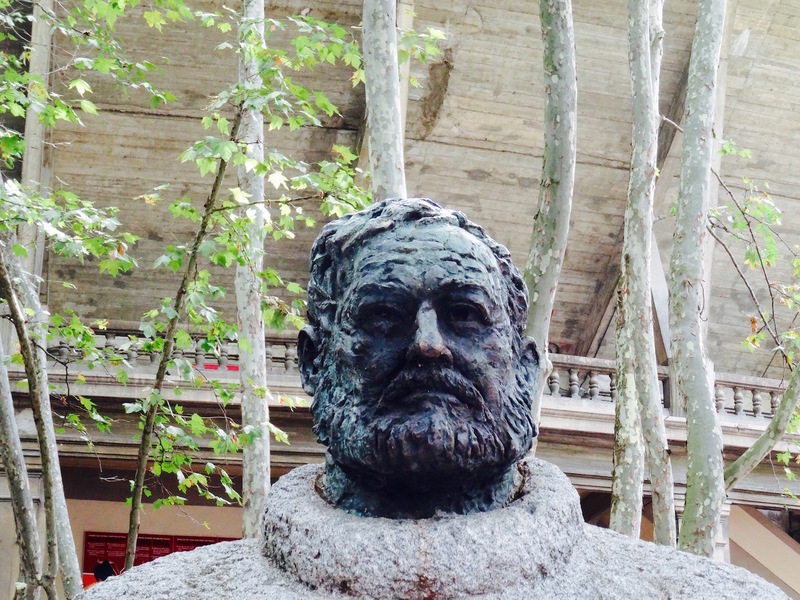 Ernest Hemingway Sculpture, Pamplona Bullring, September 2015. The words Hemingway and Pamplona go hand in hand. The Pulitzer Prize winning American novelist came here no less than nine times in thirty-five years. Invariably he’d rock up in town for San Fermín for drinking, singing, fighting and a spot of bull-watching. As the setting of his debut novel The Sun Also Rises, Pamplona held a special place in Hemingway’s heart right up until the day he put a shotgun in his mouth and pulled the trigger. This sculpture, found right outside the city bullring, is one of numerous tributes to be found throughout the centre. A bronze head of shaggy hair, a fearsome glare and fulsome beard, it stands as a powerful tribute to a legendary man. 5. Bar Gaucho, September 2015. Pamplona’s sights will soon get the stomach rumbling. 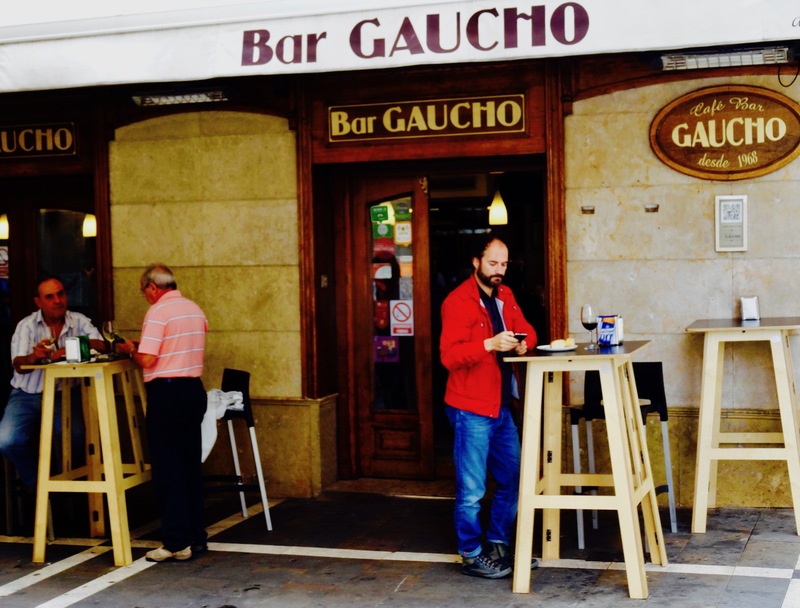 Whatever you do, don’t leave town without stopping into Bar Gaucho for some award-winning pintxos (tapas). Despite such a lofty reputation, the joint has no time at all for airs and graces. It’s a poky little place rocking a purely wooden-tables-and-chairs vibe. There are some pretty funky dishes on offer, such as potato and octopus, mushroom truffle cream with boiled egg and beef cheek with prunes and pickled onions. Call me Mr. Unadventurous, but I decided to keep it simple with some sliced chorizo and cheese baguette slices and smoked salmon on toast. Do as the locals do and chuck your napkins and toothpicks on the floor! For more My 5s around the city. why not mop up my other articles on Pamplona. Like these? Then why not check out My 5s from all across Spain. Pamplona needs to be on our list! And, now I want to read Hemingway again. Come visit me in Malaga anytime! Although on the other side of the country, it’s really not that far away by bus/train.